In a new study, researchers found that virtual reality (VR) games could play an important role in treating people with autism, schizophrenia and Parkinson’s disease. The finding could help patient reduce symptoms and improve quality of life. The study was conducted by researchers from the University of Waterloo. In the study, the team focused on the ability to estimate the passage of time with precision. This is fundamental to our ability to interact with the world. In people with autism, however, the internal clock cannot work well and this causes timing deficiencies that affect perception and action. To help understand the problem, the team examined 18 females and 13 males with normal vision. All of the people had no sensory, muscle or neurological disorders. The researchers used a VR game caleed Robo Recall to create a natural setting that could encourage re-calibration of time perception. They coupled the speed and duration of visual events to the participant’s body movements. Each participant’s time perception abilities were measured before and after they were exposed to the dynamic VR task. Some people also completed non-VR time-perception tasks, such as throwing a ball, to use as a control comparison. 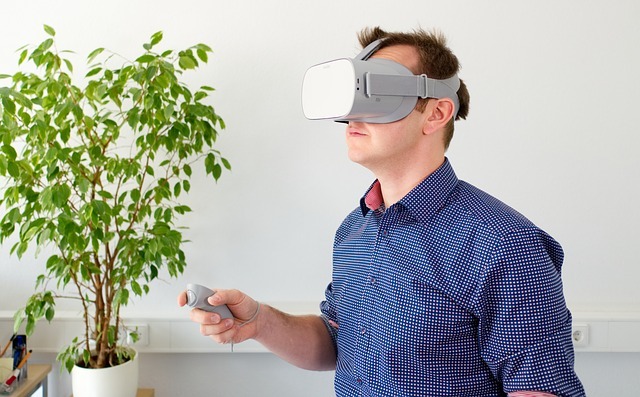 The researchers found that playing the VR game was linked to strong reductions in the participants’ estimates of time. This suggests the perception of time is flexible and that VR offers a potentially valuable tool for recalibrating time in the brain. The new finding may help develop rehabilitation initiatives that focus on how time perception breaks down in people with autism and other diseases. Future research is needed to find out how long the effects last, and whether these signals are observable in the brain. The finding also shows that VR could convincingly change our experience of space and time. It helps with basic research about how the brains of normal, injured, aged and diseased populations work and how they can be treated. One author is Séamas Weech, post-doctoral fellow in Kinesiology. Michael Barnett-Cowan, neuroscience professor in the Department of Kinesiology and senior author of the paper.